Alexandria, VA - April 16, 2019 - Today, Oxygen Forensics, a leading global provider of digital forensic investigation software to law enforcement, government and enterprise organizations, announced the hire of digital forensics expert, Keith Lockhart as its Director of Training. Lockhart is a member of the High Technology Crime Investigation Association (HTCIA) and has served as the Director of Training and President for the International Association of Computer Investigative Specialists (IACIS) – from which he obtained Certification as a Forensic Computer Examiner. He has instructed at the FBI National Academy, the United States Secret Service, the Dutch National Police Academy, the National Center for Police Excellence in the United Kingdom, the London Metropolitan Police Anti-Terrorist Branch, the Canadian Police College, Australian Federal Police Headquarters and presents regularly for numerous law enforcement agencies and public / private sector organizations around the world. As Oxygen Forensics Director of Training, Lockhart will be responsible for building a forward-looking training program for the company’s wide array of law enforcement, federal and corporate clients. He will be tasked with ensuring the company's training infrastructure remains ahead of technologies and trends in the market. Alexandria, VA - April 2, 2019 - Oxygen Forensics, a global leader in digital forensics for law enforcement, federal, and corporate clients, today becomes the sole company in the industry to offer complete flight history extraction from my MyParrot cloud with the release of Oxygen Forensic Detective (11.3). Drone use presents unprecedented threats to national security, citizen privacy, and public safety. Evidence extracted from MyParrot cloud is extensive and includes information about the account, general information about the flight, and detailed flight history with metadata like speed, altitude, battery level, and more. Currently, this cloud method provides drone forensics experts with the most comprehensive flight history from Parrot drones on the market. Oxygen Forensic Detective 11.3 offers access to MyParrot cloud via login/password or token entered in Oxygen Forensic Cloud Extractor. Oxygen Forensics’ KeyScout utility can detect a login and password if they were entered in a web browser on a computer. Oxygen Forensic Detective also automatically finds a token to MyParrot cloud in the installed FreeFlight Pro app in Apple iOS and Android devices. Oxygen Forensic Detective now parses all available drone data from FreeFlight 6 mobile app from Apple iOS and Android devices. Alexandria, VA – Feb. 13, 2019 – Oxygen Forensics, a leading global provider of digital forensic investigation software for government, law enforcement, and enterprise organizations, has released an update to its flagship product, Oxygen Forensic® Detective, introducing advanced features to support Parrot drone flight logs extracted from either an installed mobile app and even a physical dump along with the exclusive ability to extract and parse BlaBlaCar and CoverMe data. The new release offers extraction of Apple Health data from the cloud account via login/password or token and the ability to collectively analyze file systems from several extractions in a single view within Oxygen Forensics’ JetEngine. Headlines around the world during the recent months have highlighted the growing danger caused by recreational drones. The Gatwick drone issue that grounded all the flights for several days is a good example of it. Oxygen Forensic Detective had previously released support for data parsing from FreeFlight Pro, the official piloting mobile app for Parrot drones. 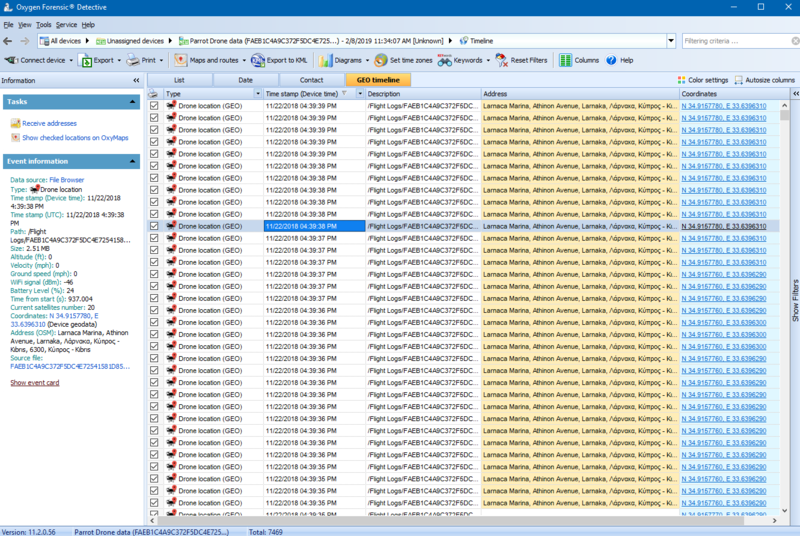 However, the new version now delivers the ability to import and parse Parrot’s flight logs. Now investigators can view geo coordinates containing timestamps along with metadata that includes: altitude, velocity, ground speed, Wi-Fi signal, battery level, current satellite numbers, and more. The extracted flight history can be visualized with our built-in Oxygen Maps. The ability to import DJI drone logs has been an included feature in Oxygen Forensic Detective, but with this release our JetEngine module will also support these valuable logs. Investigators now will be able to import DJI log flight logs and parse additional technical data, like drone acceleration, gyroscope and temperature details to name a few. · The industry’s only method to extract data from BlaBlaCar via login/password and token. · Apple Health data extraction via login/password or token. · Additional data extraction from Telegram including calls, polls, bot messages and albums. · Ability to analyze and visualize the flight data of Parrot drones including the following models: Anafi, Bebop, Bebop 2 and Disco. · Decryption of physical dumps with the known password for Android devices based on Qualcomm Snapdragon MSM8909 chipset. · Significantly Improved EDL screen lock bypass method by identification of the device via chipset, not model. ALEXANDRIA, Va. – Dec. 6, 2018 – Oxygen Forensics, a global provider of digital forensic investigation software to law enforcement, government and enterprise organizations, introduced today an update to its product enabling forensic investigators to process and examine large volumes of data at record speed. 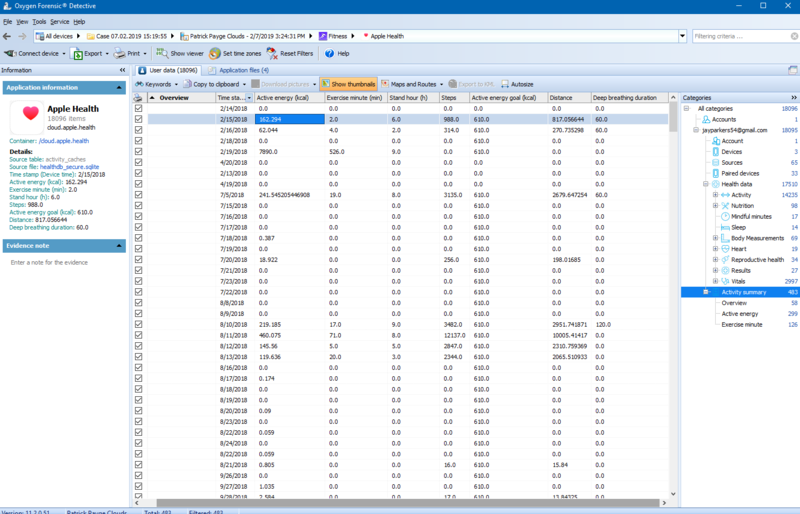 The update, which includes a new module called Oxygen Forensic® JetEngine, not only makes Oxygen Forensic® Detective 11.1 one of the most comprehensive analysis tools on the market for examining data from mobile devices, cloud services, drones and IoT devices, but also one of the fastest in the world. While smartphones represent the handheld key to an individual’s digital identity and activity, only a small portion of the data collected about a person is stored on the phone itself. Complemented by various network devices such as laptops, drones, health trackers and connected home assistants, and powered by cloud services, the amount of data about an individual relevant to an investigation grows exponentially over time. The JetEngine module enables users to remove processing memory limitations by expanding or upgrading the hardware used in extracting and processing data. Many advanced forensic labs leverage multi-core processors or multiple configurations to examine many devices and accounts at once as part of one or more investigations. Now, these investigators can take full advantage of these hardware components by removing limitations of the software. Oxygen Forensic® JetEngine, along with several other new features including industry-exclusive support for Uber, Fitbit, Google Fit and Samsung Health, is available today for Oxygen Forensics customers to download and begin using. For more information regarding this update or Oxygen Forensic® Detective, visit www.oxygen-forensic.com. ALEXANDRIA, Va. – Oct. 11, 2018 – Oxygen Forensics, the D.C. area provider of software enabling law enforcement organizations to collect and examine evidence from digital devices, has released the latest version of its flagship product, Oxygen Forensic® Detective. The new set of features builds on 18 years of digital forensics capabilities to support the growing needs of investigators with expanded support for smartphones in addition to new tools to examine connected home devices, smartwatches, and encrypted cloud data when involved in criminal activity. Headlines around the world during the recent years have highlighted the growing disparity between technology manufacturers and law enforcement, sparking debate regarding when and how data from smartphones and other devices can be secured for investigation. Similarly, law enforcement has been applauded for solving many high-profile crimes using data from these devices. Fitbit data retrieved through an Amazon Echo is currently being used in prosecution for the murder of Karen Navarra in San Jose, and the British government has begun pursuing organized crime rings through decryption of communications using WhatsApp. Oxygen Forensic® Detective is leveraged by investigators in thousands of cases around the world to provide prosecutors with the digital evidence necessary to solve crimes like these and make the world a safer place. Alexandria, VA – Aug. 8, 2018 – Oxygen Forensics, a leading global provider of digital forensic investigation software for government, law enforcement, and enterprise organizations, has released an update to its flagship product, Oxygen Forensic® Detective, introducing advanced features to support the extraction of data from locked smartphones, import of extractions performed from the popular GrayKey iPhone cracking software, and analysis of device logs including history of Bluetooth and Wi-Fi connections. Oxygen Forensics products offer investigators the ability to access and extract data from thousands of smartphones, drones, cloud accounts, and Internet of Things (IoT) components; however, many investigations in recent years have been limited by security constraints on Apple devices. GrayKey has caught the attention of investigators due to its ability to work around these security constraints and grant access to locked iPhones. Oxygen Forensics customers who are using its software to analyze data extracted from devices are now able to import device images from GrayKey to analyze the data and combine it with other digital evidence sources in their investigations. Alexandria, VA – May 31, 2018 - Oxygen Forensics, has released an update to its popular mobile forensic software allowing investigators exclusive access to mobile devices, applications, and cloud data not previously accessible through software solutions. The company’s flagship software, Oxygen Forensic® Detective, enables investigators to access and extract data from thousands of mobile devices, applications, and storage locations to build stronger cases with digital evidence. The update to version 10.3, which most notably includes access to cloud backups of the Samsung Secure Folder and Viber messaging app, as well as expanded support in extracting from locked Android devices, will allow for more detailed investigations by law enforcement and government defense groups in legal proceedings. The Samsung Secure Folder represents one of many roadblocks investigators face when collecting digital evidence for a case. Users of supported Samsung devices may store files separately from the phone’s primary storage, allowing them to protect information with a separate set of security standards and access credentials. Oxygen Forensics’ software allows investigators exclusive access to backups of these protected files through cloud extraction to retrieve data relevant to a case. Oxygen Forensic® Detective version 10.3 supports more than 7,000 smartphone and drone operating systems and applications – the most of any forensic software currently on the market – through both device physical extractions and cloud backup access. For more information on Oxygen Forensics or this software update, visit www.oxygen-forensic.com. Alexandria, VA – May 8, 2018 — Oxygen Forensics is a worldwide developer and provider of advanced forensic data examination tools for mobile devices, cloud services and drones, announced today that Oxygen Forensic® Detective 10.2 can now acquire a WhatApp Cloud token from Android devices. Two months ago, Oxygen Forensics announced Oxygen Forensic Detective 10.1 that featured the ability to help decrypt WhatsApp iCloud or Google backups with a token. If a key file that is required for backup decryption cannot be obtained, Oxygen Forensic Detective can create a WhatsApp authentication token and use it to decrypt backups stored within the iCloud and Google Cloud services. Now, with Oxygen Forensic Detective 10.2, investigators can use a WhatApp Cloud token from an Androiddevice to decrypt WhatsApp backups from Android devices, WhatsApp Google Drive,as well as iCloud backups associated with the same phone number. Alexandria, VA – April 10, 2018 - Oxygen Forensics, a worldwide developer and provider of advanced forensic data examination tools for mobile devices, cloud services and drones, announced today that its flagship software product, Oxygen Forensic® Detective v. 10.2, offers forensic detectives the industry-first ability to extract all information from a DJI drone with only a USB cable. The new Oxygen Forensic® Detective v.10.2 allows forensics experts to connect the drone to their examination computer via USB cable and conduct a physical collection of the embedded storage chip. Once Oxygen Forensic® Detective recognizes the drone, a physical acquisition is available in only a few clicks that then reveals the drone’s complete flight history with GPS locations and metadata. This data includes valuable facts like speed, altitude, direction, and other evidentiary parameters. The drone flight path is then visualized in the built-in Oxygen Forensic® Maps (both online and offline) which gives a clear picture of where the drone has traveled. In addition to the new ability to extract data with the physical drone and a USB cable, Oxygen Forensic® Detective (in version 10.1) also allows experts to extract drone data from DJI cloud, critical when the drone is damaged or cannot be acquired. With Oxygen Forensic® Cloud Extractor, forensics experts can analyze the user account information, the list of drones connected to this account, and the complete flight history of the drone(s), all from the DJI cloud. With Oxygen Forensic® Detective v.10.2, forensics experts can extract and decrypt the DJI cloud token directly from a mobile device (Apple iOS and Android) when the DJI GO or DJI GO 4 app is installed. A decrypted DJI token is shown in the Cloud Accounts section of Oxygen Forensic® Detective. The token is then used to access DJI cloud with just one click to reveal and extract the drone flight history. By using the token, experts leave no digital trace. DJI token extraction from a mobile device makes it possible to acquire all the vital drone information, even without the drone itself. Alexandria, VA – March 01, 2018 - Oxygen Forensics, a worldwide developer and provider of advanced forensic data examination tools for mobile devices, cloud services and drones, announced today that its flagship software product, Oxygen Forensic® Detective v. 10.1 can now obtain data from the DJI cloud, which is the data repository for all DJI drones. Oxygen Forensics does this through Oxygen Forensic® Cloud Extractor. With almost a million registered drones in the United States alone and much more all over the world, drones take pictures and video and even can transport packages. Law enforcement continues to review methods to acquire data from drones that are involved in illegal activities, especially GPS location data such as altitude, direction of travel, speed, and facial recognition data that can reveal the flight data of the drone. This information is sometimes stored on the drone itself, but in the case of drones manufactured by DJI, this digital information is also stored in the DJI cloud. Oxygen Forensic® Detective is the only tool that allows forensics professionals the ability to extract and decode drone data from all possible sources: drones, the cloud and apps associated with drones. Drone data is transmitted and stored in either the user’s online account, the drone manufacturer’s cloud, or in some cases both locations. The additional data within the cloud represents a separate challenge for a mobile data forensics expert since manual extractions can be extremely complicated or just simply not possible for various reasons. With the use of Oxygen Forensic® Detective, experts are now able to access the drone cloud and extract the information about the account, the drone serial number, the flight history, and other associated metadata. Alexandria, VA – January 25, 2018 - Oxygen Forensics, a worldwide developer and provider of advanced forensic data examination tools for mobile devices, drones and cloud services, today announced that it is partnering and integrating its product and technology with Project VIC. Project VIC is a coalition of law enforcement and private sector partners who champion a transformation in the approach to child exploitation investigations by developing innovative technologies and victim-centric methodologies. Law enforcement agencies worldwide use the technology developed by Project VIC’s partners in their pursuit rescue child victims, apprehend offenders and secure crime scenes. Through Oxygen Forensics’ product functionality, users will be able to search child exploitation content by hash sets and other indicators via Project VIC as well as exporting extracted file information to the VIC-JSON format that is certified with Project VIC. Alexandria, VA – Dec. 19, 2017 — Oxygen Forensics, a worldwide developer and provider of advanced forensic data examination tools for mobile devices, drones and cloud services, today announced that it has seen double-digit growth in 2017 as it worked to increase its customer base with new customer additions in law enforcement, government and corporate spaces. Due to its growth, Oxygen relocated its headquarters in Alexandria, VA, and tripled the size of the office. Oxygen has seen double-digit to triple-digit growth year over year since 2013. This past year the company focused on strategic expansion that produced an exceptional growth-to-revenue ratio that positioned Oxygen Forensics well for the future. Due to the historic growth over the past four years, Oxygen needed to move its headquarters to a larger space to add a classroom, forensics lab and more sales and technical support space for the growing staff. 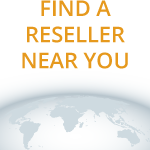 “I am very excited for our corporate growth which led to the expansion of our training facilities worldwide, additional new certified trainer partnerships, and the increase of our valued resellers and distributors to better support our growing customer base,” said Lee Reiber, COO, Oxygen Forensics, Inc.
Alexandria, VA – November 30, 2017 — Oxygen Forensics, a worldwide developer and provider of advanced forensic data examination tools for mobile devices, drones and cloud services, today announced that it has added almost 20 new features in its flagship product Oxygen Forensic® Detective X (version 10). Among the features, Oxygen has made its industry-leading Oxygen Forensic® Cloud Extractor even faster by using 64-bit database processing power that speeds up the entire data extraction process. Mi Cloud - Xiaomi phones are growing in popularity. 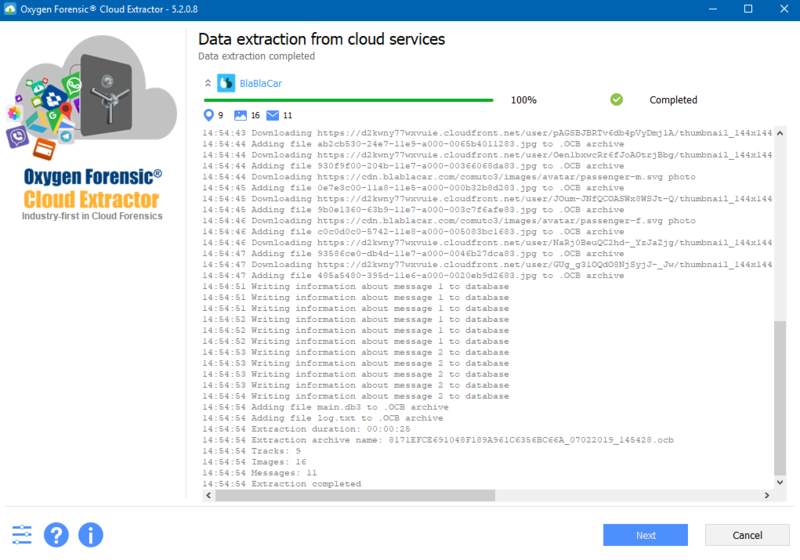 The Oxygen Forensic Cloud Extractor offers the industry-first ability to extract all available information from Mi Cloud via login/password or token including contacts, calls, messages, calendar and other personal data. Samsung Cloud backup - Forensic experts can import and parse complete Samsung Cloud backups that can be accessed via login/password or token. Backups may contain contacts, calls, messages, calendars, files and Wi-Fi history. Samsung Cloud Gallery – Added the ability to extract live, trashed and deleted photos, videos and documents from Samsung Cloud. This data also contains geographical locations so experts can track the whereabouts of the Samsung device owner. As announced earlier this month, Oxygen Forensic Detective X also includes enhanced WhatsApp data extraction including WhatsApp backup decryption with 2-step verification and data extraction from the WhatsApp server. Other additions to Oxygen Forensic Detective X include unsupported apps parsing, drone support enhancements, selected physical extraction, screen lock bypass for Motorola devices, Huawei backups import ability (Detective X can find passwords for encrypted backups with the help of a built-in Passware module), predefined keyword list and an improved SQL editor. For an advanced explanation of all new features, please visit the Oxygen Forensic Detective X product page. Alexandria, VA – November 16, 2017 — Oxygen Forensics, a worldwide developer and provider of advanced forensic data examination tools for mobile devices, cloud services and drones, today announced that its new flagship product, Oxygen Forensic® Detective X (version 10), which contains the industry- leading Oxygen Forensic® Cloud Extractor, has added new WhatsApp extraction features. WhatsApp backups decryption with 2-step verification - This verification is an optional feature that added to provide better security to the account. When enabled, any attempt to verify the phone number on a WhatsApp account needs to be accompanied by the six-digit PIN created by the user. The new Oxygen Forensic Cloud Extractor offers either the opportunity to enter the PIN (if it’s known) or several methods to deactivate it. Unique WhatsApp data from the server - Oxygen Forensics has added a special WhatsApp Cloud service that allows forensics experts to acquire undelivered messages, unanswered calls and information about groups and contacts directly from the WhatsApp server. This service is useful in specific cases with damaged or locked devices. When forensic experts use the WhatsApp Cloud service, they can even obtain access to the WhatsApp server without the phone. For a full list of WhatsApp extraction capabilities, please visit this link. Oxygen Forensic® Detective. Physical acquisition methods.